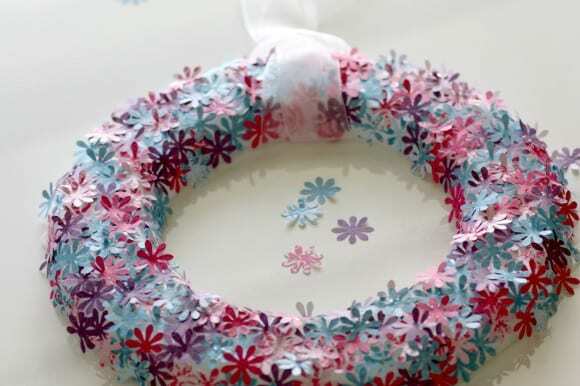 I wanted to make a wreath with pretty spring flowers, but I didn't want to use silk flowers, and real flowers would never last, so I decided to make my own flowers out of scrapbooking paper. This was a fun craft because I made the whole thing while watching The Voice, and my daughter even got to help with the punching and gluing. Punch out 6-8 pages full of paper flowers. This can take a while (which is why TV was helpful). 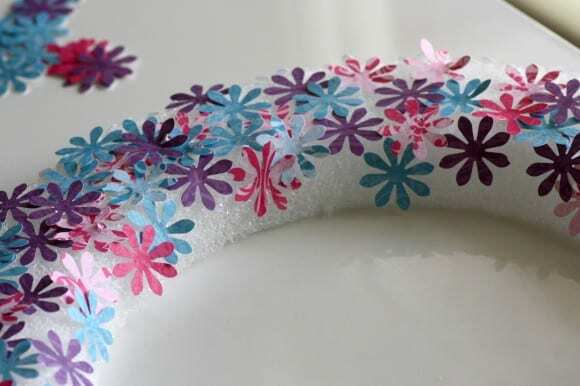 Glue each one flower your styrofoam wreath in layers but in a random pattern. 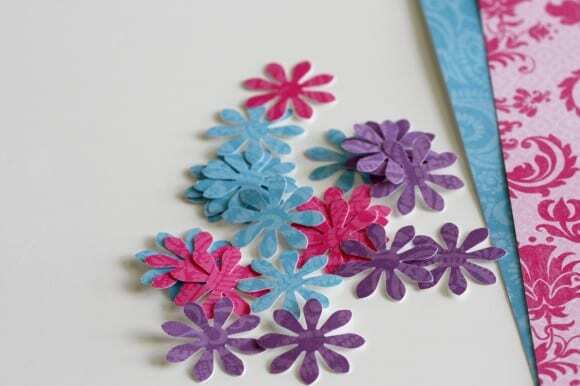 Make sure each layers dries before adding more flowers. 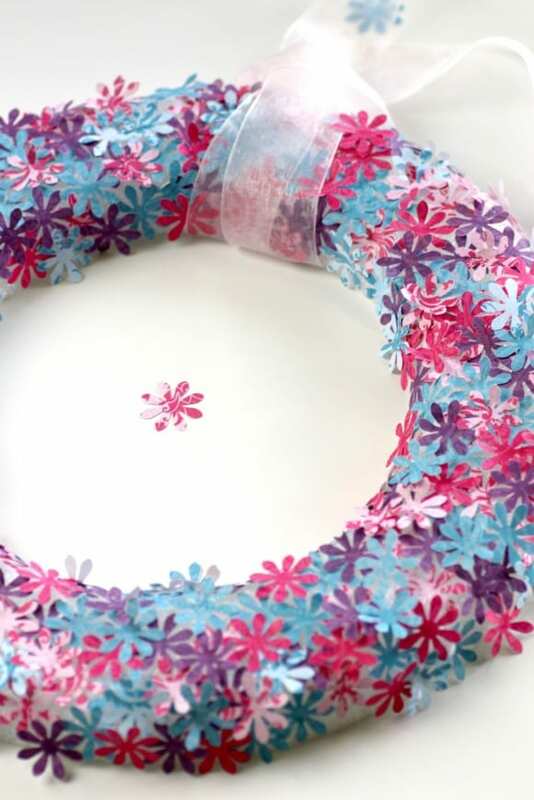 Once you've covered the wreath in flowers, fold up some of the flower petals to give the wreath a 3D effect. 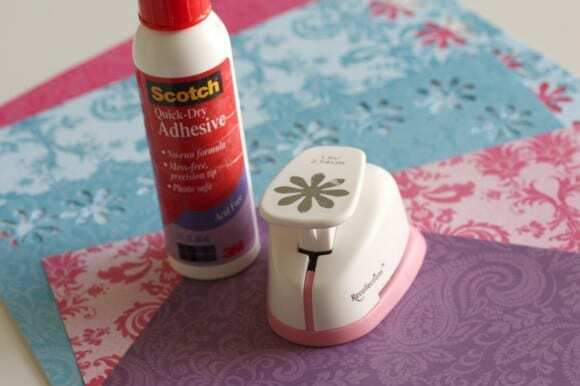 Attach a pretty ribbon (I chose a light pink silk ribbon) and you're done! 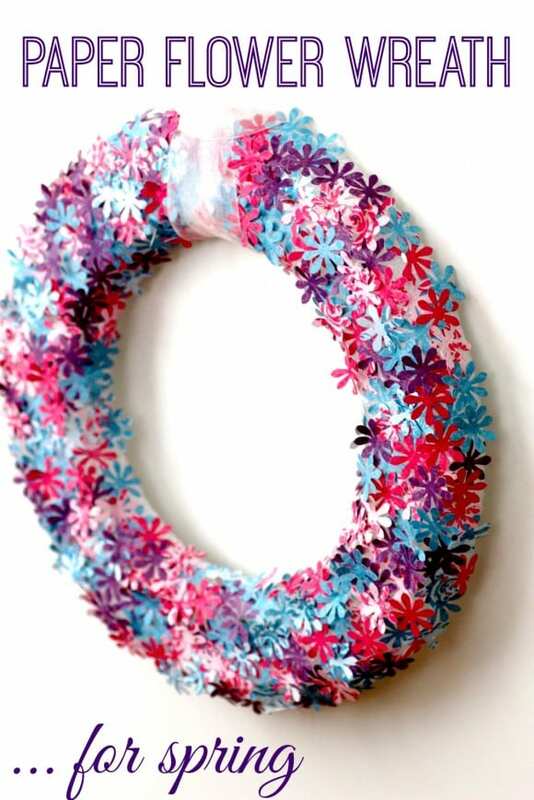 I created this wreath for the new Bird's Party Magazine. If you love looking at beautiful party photos and inspiring ideas from the best party stylists around, you must check it out!